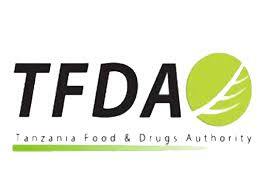 The Tanzania Food and Drugs Authority (TFDA) is an Executive Agency under the Ministry of Health, Community Development, Gender, Elderly and Children (MoHCDGEC) responsible for the control of quality, safety and efficacy of food, medicines, cosmetics, medical devices and in-vitro diagnostics for the purpose of protecting public health. TFDA in collaboration with Muhimbili University for Health and Allied Sciences (MUHAS) are implementing a 5 year Project acronymed PROFORMA under the grant obtained from the European and Developing Countries Clinical Trials Partnership (EDCTP). The PROFORMA project aims at strengthening the pharmacovigilance system in Tanzania. iii. Upon request by the DMC, shall produce, sign and submit technical and financial reports and procurement requests as per requirements of the project. ix. Ensure field team needs are catered for the successful conduct of the project. xi. Participate in data analysis and overall manuscript drafting, report writing, and publication. xii. Carry out any other duties related to the above as assigned by the supervisor. Bachelor degree in pharmacy, medicines, biostatistics, epidemiology, pharmacology, biochemistry or related field from a recognized institution and must have computer knowledge and acquainted in statistical analysis by using EPI info, STAT and SPSS software. Experience in project management in relevant field is an added advantage. Self-drive, innovation, creativity, honesty, integrity, open-minded, result –oriented, good interpersonal skills and good working knowledge of ICT applications. Any person possessing the required qualifications is encouraged to apply. Deadline: 14 days from the date of this advertisement.